media consulta (mc) is the only German-managed international agency network to have over 80 branches on all five continents, including all 28 EU Member States and all key business centres worldwide. 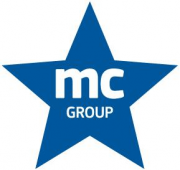 mc tops the rankings of German PR agencies and takes third place amongst German advertising agencies. As a fully-integrated agency, mc's portfolio includes traditional PR services in the fields of advertising and media, corporate publishing, multimedia, sport/youth/music marketing, event management and TV production. Our customers include major national and international brands, associations, political institutions and media companies. During your internship you will gain insight into the fascinating environment of a PR agency. As an intern in our international PR department you will support our PR consultant team in the supervision and implementation of communication campaigns on a pan-European level and will be involved in New Business activities. When fulfilling the aforementioned tasks, you will learn the implementation of all integrated communications measures: public relations, classic advertising, media, events, online and dialogue PR. Internship may lead to a permanent position. Apart from an aptitude for writing, you will have a strong command of business English and French (fluent speaker), which is indispensable in communicating with our international clients. If you are highly motivated and results driven, we offer you an exciting position at one of the leading communication and advertising agencies working for international clients, in the areas of politics and commerce. We look forward to your professional application specifying your earliest starting date.